And they're off! What will the Spanish elections mean for the eurozone and the UK? News in earlier today, Spanish Prime Minister José Luis Rodríguez Zapatero has finally set a date for national elections - 20 November. Parliament will be dissolved on 26 September. As expected, Zapatero will step down and make way for a new socialist party leader, Alfredo Perez Rubalcaba (pictured on the right), who was selected by his party earlier this year. Elections were originally planned for early 2012, with an ultimate deadline of March 2012, but in view of the economic crisis and increasing pressure from the public, the press, the opposition, and some members of his own party, Zapatero finally caved in today. Spain’s main opposition party, the Partido Popular (PP) are now tipped for a big win, according to opinion polls and the PP’s recent successes in regional elections. However, Spain’s economic problems indicate that stormy times are ahead. “I have chosen the date to project economic and political certainty”, Zapatero said. Conveniently for Zapatero, October’s budget will now be delayed until next year, after the elections. The election campaign will now certainly be dominated by the impending budget, and the need for deeper austerity cuts. This debate could be tricky for the PP, who will have to strike a balance in the election campaign between identifying in detail the cuts it envisions, and not scaring the electorates back into the arms of the Socialists. And with an eye on the Conservatives' record in last year's election campaign in the UK, the PP will want to avoid leaving any sort of impression that it's flip-flopping over cuts. What's clear is that whichever party ends up at the helm will have to make tough decisions to navigate Spain through the eurozone crisis’ Bermuda triangle. El Pais also notes cynically that the date of the election happens to fall on the anniversary of the death of Spain’s notorious right-wing dictator Franco. The left-wing government was quick to dismiss the ‘coincidence’ saying it’s a date “like any other”. 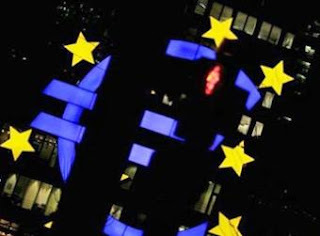 What will this mean for the eurozone crisis? Well, the timing of the elections may not buy Spain any favours with financial markets. 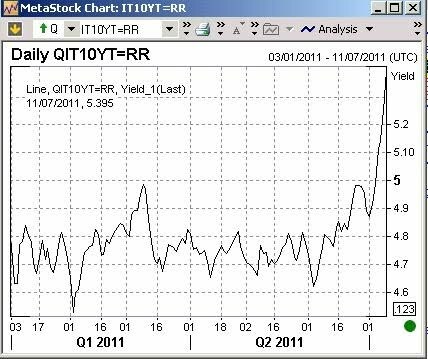 The uncertainty that comes with any election is far from ideal given the already rising borrowing costs. In addition, the election will put a complete pause on the economic reform and austerity programmes. It's also unclear whether the expanded EFSF will get ratified by the Spanish Parliament before the election - something which the French and German governments, not to mention investors, are keen to see done asap. If Spain misses any important targets over the next few months due to the elections, be sure that the markets will push borrowing costs even higher. How will a PP-led government differ from a Socialist one? At a recent event of ours, the PP's Secretary of Economy and Employment Álvaro Nadal set out his priorities for the coming years noting that the PP will go much further on labour market reforms than its predecessor, particularly with changes to the collective bargaining system, in addition to more privatisations and stricter budget conditions for regions. In terms of restructuring the Cajas (the regional saving banks), it looks as if PP will continue where Zapatero left off, since the reforms were very much based on a cross-party deal in the first place. Nadal suggested that the mandate given to the PP in the recent regional elections and polls shows that the people are ready and willing to accept these reforms. Once past the uncertainty of the elections, a Spanish reform-minded government, with a strong mandate from the electorate, can only be good news for the eurozone. Interestingly, Nadal said that a PP run government would probably not support Eurobonds - which is becoming increasingly fashionable as a "solution" to the eurozone crisis. Nadal said,"For [Spain] it would be suicidal. The current eurobonds are very ill-designed. We need a method to encourage fiscal discipline but they are not it". Nadal concluded by reiterating a stance taken by Mervyn King, Governor of the Bank of England, saying, “We have been treating this as a liquidity problem when actually it is a solvency one”. How will social discontent in Spain impact on the elections? Intertwined with its economic problems, Spain is also suffering from serious social discontent at the moment. The so-called ‘indignados’ (indignant protesters) will pose a serious challenge to both parties during the election campaign, but probably hurt the incumbent government the most. Support for the indignados is high and growing, not really a surprise in a country with unemployment rates of 21% (climbing to 45% youth unemployment). Last weekend saw crowds of 35,000 march through Madrid, more are on the way. What will this mean for the UK? In fact, a PP victory is Spain could provide the Coalition with a potential centre-right ally in Europe at a time when both Germany and France could see centre-left governments take over within the next two years. And there's scope for deals to be struck between the Coalition and a PP-led Spanish government, including on some crucial economic issues such as services liberalisation, the EU better regulation agenda, bank recapitalisation, and potentially also on external trade. (However, other areas will be trickier, including the EU budget where any Spanish government and any UK government are poles apart). What's clear is that a successful Spanish economy is absolutely vital for the health of the eurzone and the European economy. A vibrant Spain would do a lot to get the eurozone back on track. Another day, another ludicrous headline for the ECB. The latest story doing the rounds is that famed footballer Cristiano Ronaldo could essentially be put up as collateral with the ECB in exchange for liquidity. It’s currently been covered by PressEurop, Süddeutsche Zeitung, Zerohedge and FT Alpahville (which should suggest that it’s not a completely made up story, but who knows). The mechanics of it actually seem to make some sense, unbelievably. Spanish bank Bankia provided significant loans to Real Madrid to fund the purchases of Ronaldo and Kaka (they cost around £145m in total, so not a pittance). These loans have been rolled into a Collateralised Loan Obligation which Bankia looks to be planning to post with the ECB in exchange for liquidity. Just to top it all off Moody’s gave this likely opaque security an Aaa (sf) rating. Where will this crisis go next…. Conservative Home has launched a "growth manifesto" with contributions from a number of UK thank-tanks with the aim of providing ideas for how to return Britain to growth ("Here you go George; A Growth Manifesto from London's think tanks", is how the piece is aptly titled). 0.2% second quarter GDP growth is hardly impressive so ideas are certainly needed. We've chimed in with our own thoughts, focusing on a long-term solution to the eurozone crisis in combination with pro-growth, liberalising measures in Europe (save on capital requirements for banks, where tougher regulation is needed). Like Mervyn King and others, we believe that the eurozone crisis remains the biggest threat to the UK's financial stability. But as we argued in the Sunday Telegraph last week, amid fears of another nasty economic downturn in Euroland - and the contracted demand for UK exports that comes with it - the crisis and the measures in its wake are also a direct threat to UK growth. The Government needs to push for a long-term solution to the eurozone debt crisis – bailouts aren’t working, debt restructuring will be needed. The longer the crisis goes on, the worse the prospects for eurozone growth and stability look and, as our biggest trading partner, this will have an impact on the UK economy. In the medium-term the UK needs to seek allies in pushing for a better-functioning single market, including deregulation, removing cross-border barriers to services and digital industries, and protecting the interests of the City of London from the EU’s new financial supervisory architecture. 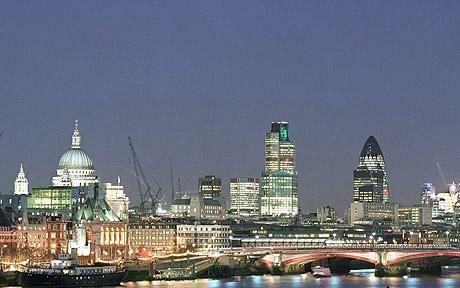 This includes securing the flexibility to apply capital requirements for banks as the UK sees fit. In the longer term, the UK should look to diversify its trade away from the eurozone, tapping into the growth potential of emerging markets, which will be necessary in any case but also provides a Plan B if the eurozone fails to get its act together. The UK also needs to continue to push for a reduction in EU external trade barriers and encourage the expansion of free trade agreements with other economies/trading blocs. We’ve been wondering, as many others have, whether the 90% participation rate for private sector involvement in the second Greek bailout is actually realistic or not. FT Alphaville highlighted the confusion over which institutions have so far agreed to take part, with the Institute of International Finance (IIF) managing to circulate numerous lists almost simultaneously (the latest version has 29 leading financial institutions on it, incidentally mostly all European banks). So who is currently not on the list and what does that mean? So far, RBS, German DZ bank and Cypriot Marfin Popular Bank have expressed their concerns over the plans and are delaying their decision on whether to participate. These banks hold €1.2bn, €731m and €3.4bn in Greek bonds respectively. With Cyprus facing its own financial problems now it looks less likely that Marfin, the country's second largest bank, will want to book a loss at this point in time. While RBS may well be considering the long term implications of participation, such as whether it might be put in a similar position, but in regards to Ireland, in the future. Given its massive exposure to Ireland we’re sure it would want to limit its involvement there. The fact it’s essentially taxpayer-backed is also problematic - most UK taxpayers would probably like to see RBS gets its stake in Greece back in full as soon as possible, rather than see its loans extended under the plans being proposed (especially since Greece may still default in the future). On top of these banks, Hellenic Postbank and ATE Bank (both Greek) have said they cannot take part since they are both in the midst of a restructuring and privatisation. 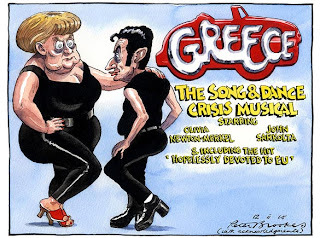 They hold €4.3bn and €7.25bn in long term Greek debt. Now, we’re not sure whether these exceptions were known and therefore accounted for in the 90% estimate, but if not they provide a substantial dent to the chances of meeting that assumption. So far then, that’s €16.8bn that’s missing and which may not be included in the plan that we know about (although, it’s still early days, so that could change). Then there’s the issue of the German 'bad banks'. Anyone who looked over the recent stress test results would have noticed the massive drop in German banks holdings of Greek debt. In fact €7.4bn and €1.4bn was just transferred from HRE and WestLB to the bad banks, FMS Wertmanagement and Erste Abwicklungsanstalt. It’s not clear whether these bad banks will be taking part in the plan, but since its meant to be private sector and they’re state backed it would actually be taxpayers taking the hit again – something the German government is keen to avoid. Therefore, that’s another €8.8bn which is severely in doubt. Total private sector holding of Greek debt now stands at around €210bn. Our rough calculation suggests that around €25.8bn (12.2%) of that is already in doubt. Add to that the fact that, of this private sector debt, up to €85bn is reportedly held by foreign non-bank financial institutions. For example, the IDW (Germany’s auditor’s association) suggests German insurers hold €3bn in Greek debt. It’s hard to see why many of these bondholders would be keen to participate, even with substantial political pressure. It’s far from over (we probably won’t know the final participation rate until the end of next month) but the early warning signs seem to suggest that the 90% participation rate for private sector involvement might be too optimistic. NB – It could be that the participation rate was focused on banks, but even then getting 90% of the c.€100bn held by banks involved still looks tough given that so much is already in doubt (mostly from banks). Fitch and Moody’s have already declared that they consider the private sector involvement in the second Greek bailout to be a default. This is because bondholders will be taking part in a bond swap or rollover which will result in them receiving less money than promised under their original bond. Simple enough and probably the correct decision. So why aren’t CDS paying out? A credit event or default which would trigger CDS is determined by the International Swaps and Derivatives Association (ISDA) which has announced that it does not judge Greece to be in default. This is because the bond swaps or rollovers are completely voluntary. If CDS were triggered you could get a situation where people who didn’t take part in the swap or rollover are still getting paid out on their CDS and so are reaping their full rewards of both the Greek bond they’re holding and the insurance on it – a perverse situation, no? So, clearly, this looks to be the correct decision as well. So, since you have a situation where the increasingly expensive insurance on Greek sovereign debt essentially becomes useless, the whole market for CDS has become undermined, possibly irreversibly so. We’ll gloss over whether this was intentional or not for now (undoubtedly there are plenty of EU officials who would like to punish the CDS market for what they see as detrimental speculation in the financial and eurozone crisis, as we’ve pointed out with our commentaries on the new short selling regulation). But it goes to show that the complexities of the eurozone bailouts can lead to significant and potentially harmful side-effects. Let's not kid ourselves, CDSs can be used as a speculative tool but also play an important role in market liquidity nowadays. Reducing the use of CDS makes it harder to hedge against risk; this could make investors less keen to purchase the sovereign debt of struggling eurozone countries (such as Spain and Italy) and could therefore filter through to higher borrowing costs for many eurozone economies (due to higher risk premium). It could also make it harder for the private sector in these economies to get loans and funding as well, since CDS is often used to insure against the risk from these types of loans. So, in sum, we could see higher borrowing costs and lower economic growth as an impact of a smaller CDS market, clearly not a desirable effect given the current crisis. Although, we’re sure there will be a few EU officials with a wry smile on their face at the potential demise of the CDS market, intentional or not, it could yet come back to haunt them. Eurozone leaders took some decisive action this week to save their currency. But while the deal agreed at an EU summit on Thursday looks decent on paper, it rests on some heroic assumptions. Moreover, with the confusion over figures and formulas that arose in its wake, Europe has again been left with a worrying feeling that its politicians do not quite understand exactly what they have signed up to. The deal contained three main elements: reduced interest rates on the bailout loans to Greece, Ireland and Portugal, some losses for private investors to reduce Greece’s debt and a transformation of the eurozone’s temporary bailout fund, the EFSF, into a cash-point for banks and possibly Spain and Italy to tap (but so far without the sufficient funds). In addition, eurozone leaders finally came back to reality by accepting that Greece will enter some form of default given its huge debt mountain. For now, these seemingly radical results have appeased financial markets. To be fair, in that sense, the package on the table does go some way to stemming the risk of contagion to other eurozone economies. But scratch the surface, and the eurozone crisis is far from over. For starters, the deal is a huge political gamble on the willingness of taxpayers throughout the eurozone, to continue to underwrite other countries’ debts. By expanding the scope of the EFSF the agreement is providing greater avenues through which risk can be transferred from private sector bondholders to taxpayer-backed institutions. In fact, the deal hints at nothing short of unlimited bailouts, which means that the EFSF has to be radically increased in size to serve as a credible backstop. This may sit well with investors who will continue to see their losses socialised, but convincing Dutch, Finnish, German, Slovakian or even French taxpayers (under the agreement, the latter’s government could face higher borrowing costs than those it is bailing out) to provide not billions, but trillions (think Italy’s €1.8 trillion bond market), in loan guarantees to struggling banks and governments around Europe will be a mighty task indeed. This amounts to another step down the slippery slope towards debt union in Europe. If the EU Treaties’ infamous no bailout clause, once seen as a pillar for a monetary union based on fiscal prudence, was stretched before, it has now been broken beyond repair. The hotly disputed topic of private sector involvement also seems to have provided more questions than answers. In the days following the summit, politicians throughout the eurozone have struggled to get to grips with the deal which they supposedly masterminded. The confusion was illustrated by a bizarre moment on Friday when the Commission and the Dutch government gave two completely different figures for the actual size of the bailout. €109 billion said the Dutch, €159 billion said the Commission (leaving the Dutch Parliament, that had already preliminarily approved the deal, utterly perplexed). But beneath the complexity, the level of debt reduction achieved by involving the private sector falls far short of what is needed. To return Greece to solvency, at least a 40% haircut to the country’s debt is needed, while this deal achieves a mere 7.5% debt reduction according to most estimates. Where the rest is supposed to come from remains anyone’s guess. The proposal also glosses over a couple of key problems which have remained since the first bailout: will the Greek population put up with continued austerity measures given the resistance already brewing in the country, and what happens if the austerity targets are not met? 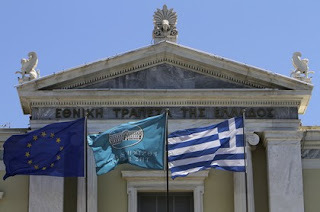 Even more fundamentally, will Greece ever be able to become competitive within the confines of the eurozone? The deal contains a commitment to economic growth and competitiveness. But it is still just as unclear as ever how to achieve this in a country stuck with a hopelessly overvalued currency, an ingrained entitlement culture, an inflexible labour market and a bloated public sector. So where does all of this leave Britain? Economically, since the agreement fails to cut to the core of the crisis, Britain remains exposed to future problems in the eurozone, not least via its banking system. Additionally, cutting too fast and too hard in the eurozone’s vulnerable economies under the new deal – while necessary in the long-term – could trigger a pretty nasty economic downturn in the eurozone in the short-term. Given the trading volume between the UK and the eurozone, this could have a hugely negative impacts on the UK, at a time when it least can afford it. UK Chancellor George Osborne has said that further “eurozone integration” is in the UK’s interest, that is, if it means a functioning Single Currency. The problem is that few – if any - of the proposals on the table fit the bill. To make fiscal union economically viable, it is all or nothing. Either fiscal transfers (i.e. gifts) from the strong to the weak to compensate for huge economic divergences – which is not even remotely politically acceptable to most, if not all, eurozone electorates – or a scaled down eurozone consisting of a limited number of similar economies. Somewhere in the middle will ultimately be just as unsustainable as the current situation. At the very least, if the UK is going to encourage further integration, it must develop a clear and unwavering vision about its own relationship with this evolving EU. This should include a defined list of measures to push through in Europe, including powers that it wants returned from Brussels to Westminster. Far from derailing the efforts to save the euro, such a list, if it leads to a more competitive, economically vibrant and accountable Europe would do far more to save the euro – in whatever from it exists in future – than any of the proposals that were agreed this week. The failure to address the fundamental causes of this crisis and a suspicion that the eurozone’s political leaders fail to understand what their new deal actually means, suggests that, sadly, we may well all be back here again before too long. A small dispute erupted yesterday between the Netherlands and the European Commission. The point of contention was the actual size of the second Greek bailout. According to Elsevier, a spokesman for Dutch PM Mark Rutte claimed that the bailout amounts to 109 billion euro, 50 billion euro of which would come from private investors. In stark contrast, the European Commission proudly stated in a communique that the amount was in fact 159 billion euro. So what's going on here? Seems like a pretty fundamental issue to get wrong. Rutte's spokesman noted that the difference is due to the fact that the Commission includes the chunk of the first Greek bailout (decided last year) that hasn't yet been disbursed (see more on this here). But why in the world is the Commission talking up the size of the bailout at a time when the Dutch government (and other governments as well) is having problems selling a second multi-billion euro Greek bailout to its electorates as it is (it's not as if the markets can be tricked to believe that there is extra cash on the table). The Dutch Parliament had already approved the bailout deal when the Commission came storming in with its clumsy communique, leaving Dutch MPs bewildered and frustrated. The Dutch Greens have now asked for clarification "to the comma" on how much the Netherlands is in fact contributing to the second bailout. Now, we certainly welcome more debate in national parliaments on this crucial issue. But the people over in the Commission's communication department are either not in the ballgame at all or seriously over-paid. At least for the moment, it looks like Greece and the eurozone have taken a step back from the brink. Markets initially reacted well to the outcome of a summit, although this early optimism seems to be fading. Once again, the Franco-German axis played a key role, given that the other 15 eurozone countries substantially rallied around the 'common position' agreed by French President Nicolas Sarkozy and German Chancellor Angela Merkel in Berlin the day before the summit. However, the political reaction from within both France and Germany doesn't exactly sound enthusiastic. In France (we would say partly due to the imminent presidential elections), the Socialist party has been particularly vocal in its criticism of the deal struck yesterday in Brussels. It was a necessary agreement but it was belated and insufficient. Belated, because if these measures had been taken 18 months ago, there would never have been a eurozone crisis…Insufficient because there is no European agency that was created to borrow. In other words, not only does Hollande support Eurobonds, but he would also be happy with a specific agency created to issue them. "The heart of the problem is nevertheless still there: building a government for the euro." What else did you expect from Jacques Delors' daughter? Hence, the message from French opposition parties is clear (with the potentially important exception of Marine Le Pen): full steam ahead with fiscal union. It will be very interesting to see how this plays out if, say, the Socialist Party wins next year's presidential elections and has to make a new deal with Germany. "What has been decided…only means that we're giving [Greece] more loans. But it won't change anything to the fact that the Greeks are not able to carry this gigantic mountain of debt." Not clear what he suggests as an alternative, but the SPD has so far tended to be supportive of greater integration. "Without overcoming the Greek economy’s lack of competitiveness, there can’t be a sustainable solution." "Without the possibility to leave the euro, the debt cut makes no sense. 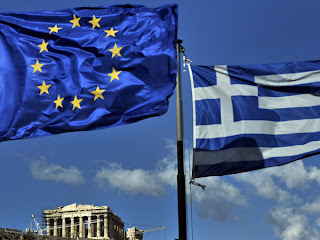 Greece will continue to be dependent on other countries...Furthermore, the plan contradicts the Bundestag decision from February, which states that no debt buy-back programmes will be financed." Crucially, Schäffler and his colleague Klaus-Peter Willsch (from Merkel's own CDU party) have demanded that German MPs return from summer recess and hold a special session to discuss the Greek deal in the Bundestag. They maintain that Chancellor Merkel overstepped the negotiating mandate received from German MPs, since she agreed to give the EFSF the power to buy eurozone debt n the secondary markets. 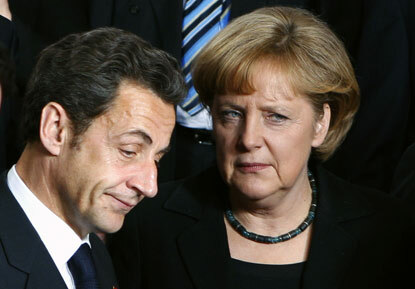 Hence, despite the show of unity and determination in Brussels, both Merkel and Sarkozy will have to face strong domestic opposition to the deal struck yesterday, although for different reasons. On 4 July 2011, a well-known European passed away. 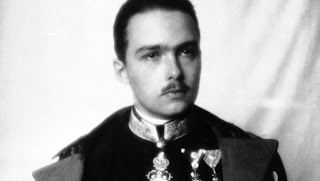 Otto von Habsburg, the oldest son of Austria's last Emperor and the last Crown Prince of Austria-Hungary was praised by European Commission President José Manuel Barroso as "a great European" which "has given important stimulation to European integration". That is certainly true, but deserves some clarification of which kind of European integration von Habsburg was pushing for. He was a great proponent of decentralisation, and at the same time did not see this as contrary to the European idea - something which is not always the case with EU officials or certain politicians. In a speech back in 1999, von Habsburg, who was also a Member of European Parliament, recalled how during the European elections in 1994, buses were sent by the European Commission to all over Europe to explain to voters the issues at stake. In Munich, he looked for an hour for such a bus, only to find it somewhere where nobody would pass by. His words have only become more relevant since 1999. His passing should remind us that the true European idea and also the reason why Europe has been historically successful, is decentralisation, and not centralisation. The Telegraph has got its hands on a copy of the draft EU summit proposals, so here are some of our initial thoughts (not too many new details in them to be honest but gives a base to work from). 3. We have decided to lengthen the maturity of the EFSF loans to Greece to the maximum extent possible from the current 7.5 years to a minimum of 15 years. In this context, we will ensure adequate post programme monitoring. We will provide EFSF loans at lending rates equivalent to those of the Balance of Payment facility (currently approx. 3.5%) without going below the EFSF funding cost. This will be accompanied by a mechanism which ensures appropriate incentives to implement the programme, including through collateral arrangements where appropriate. Obviously no figures on how much the bailout will total but most reports put it at €110bn - €120bn (above and beyond the first bailout). Looks like any new bailout loans will have longer maturities and lower rates, interestingly it does read as if this will also be applied retroactively to the original bailout loans (however they were not from the EFSF but on a bilateral basis so the phrasing makes it slightly unclear). Although it’s made clear that the interest rate will stay above the EFSF borrowing cost, you will get to the point where France is paying 3.8% to borrow for 15 years on the market while its underwriting loans so that Greece can borrow at 3.5%. Not sure that this is a sustainable situation or desirable, particularly for French taxpayers. 4. We call for a comprehensive strategy for growth and investment in Greece. Structural funds should be re-allocated for competitiveness and growth under a European "Marshall Plan". 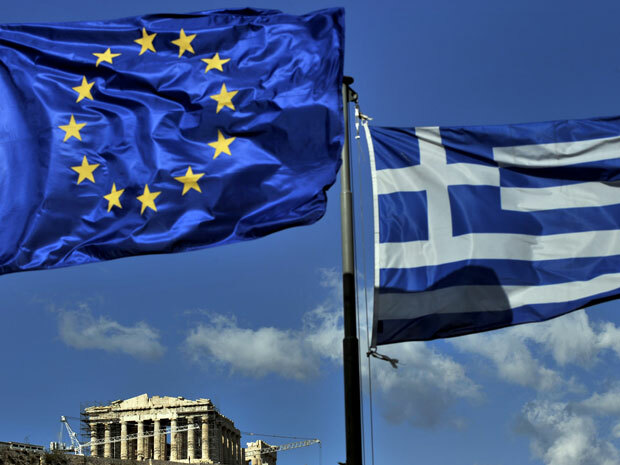 Member States and the Commission will mobilize all resources necessary in order to provide exceptional technical assistance to help Greece implement its reforms. There’s been a lot of talk about this ‘Marshall plan’ for Europe, but details are still thin on the ground. Basically, it looks to encourage other eurozone members to impart expertise to Greece and help its economy return to growth. This is a nice idea but the problem has never really been about knowing what to do, it’s about managing to implement it in a country with growing political unrest and a massively inflexible labour market as well as out-dated infrastructure. We’re also not sure how kindly Greece will take to further intervention in its economy and ultimately its politics as well. The role of private sector involvement (PSI) has been the most hotly debated issue around this summit and unfortunately the draft proposal does little to clear it up. It looks as if they have, as of yet, been unable to agree on the format for PSI and so have stuck with offering a "menu of options". See our previous blogs here and here for discussion of these plans but they all have significant shortcomings. The key proposal here is that the EFSF looks to be able to lend a bit more freely. It looks to us as if the first bullet point suggests that the EFSF can lend without the need for a full bailout and Memorandum of Understanding (bailout conditions). Combining this with the ability to lend to banks, albeit through governments, basically fills the calls for the EFSF to have a flexible credit line and recapitalise banks. 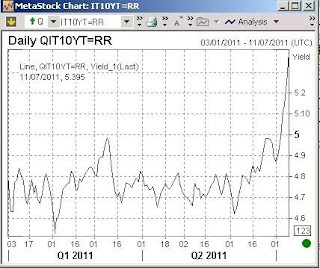 This should help sooth market jitters, but it could also lead to taxpayers underwriting a lot more risky lending. Allowing the EFSF to be tapped more quickly, could mean it needs to be increased in size. The ability to buy bonds on the secondary market had been mooted as a concession to the ECB for its acceptance of a ‘temporary Greek default’. Given the need for unanimity we doubt it will be easy to agree on the EFSF being used in the bond markets and, given its limited size, it’s unlikely it will ever make a huge dent in the Italian or even Spanish bond market. The main point about all of this is that it requires a rule change to the EFSF, and as such will need approval by the Dutch, Finnish and German parliaments - we're not too sure that will be immediately forthcoming to say the least. If there weren't certain other things going on this week, today's proposals from the Commission for new EU-wide bank capital rules would have certainly caused more of a stir, particularly in the UK. The FT notes that the new rules would require banks to hold top quality capital equal to 7% of their assets, adjusted for risk. The proposal has already prompted fierce debate, because it would set both minimum and maximum capital requirements. By contrast, the Basel III guidelines, the global rules which the EU rules are designed to implement, expressly allow national regulators to top up the global minimums where they see fit. The FT Money Supply blog notes that the IMF warned only yesterday that the Commission's proposals may not go far enough. 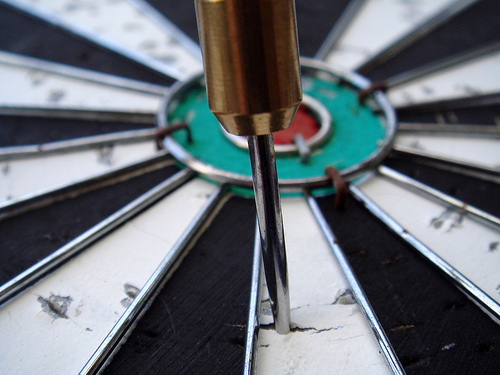 "It will be important to set capital requirements at an ambitiously high level, possibly above Basel III," the Fund warned, adding that national regulators should have the discretion to apply additional capital buffers if they wish. Negotiations on the final text will now begin between national ministers and MEPs but it seems rather ironic that, after years of comments from high-profile EU leaders (read Merkel and Sarkozy) blaming the "Anglo-Saxon" model of regulation for the financial crisis, the UK might be denied the possibility of enforcing stricter regulation on its own banks. Of course, this probably has nothing to do with the fact that leaders in the eurozone have in the back of their minds that their banks have another rather pressing deleveraging headache on their hands: shoring up their exposure to dodgy eurozone sovereign debt. Despite there now being less than 24 hours to go until the emergency eurozone summit on Greece, and probably Italy and Spain, there is still no clear consensus on what structure a second Greek bailout will take. The main sticking point, as has always been the case, is on private sector involvement. The original ‘French proposal’ for a debt rollover now seems dead and buried. The German plan for a bond swap looks to have been brought back from the brink but still looks unlikely, given the complexities and the fact it will surely result in a default rating but deliver minimal debt reduction. The focus has, therefore, turned to two proposals: a debt buy-back and, more surprisingly, a bank levy. We’ve covered the prospect of a debt buy-back before (in our Greek paper here), so we’ll try and keep it brief. It’s not the worst idea eurzone leaders have come up with, as it could raise a decent chunk of change given that Greek bonds are trading at substantially reduced prices. There are a couple of problems though. First, the ECB has said it will not sell any of the bonds its holding, which shuts off a large pool of potentially easy to negotiate deals. There are plenty of private bondholders who take a similar line since they’re holding the bonds at par value (level at which they were purchased) meaning that they would have to book the losses if they sold them (the idea here is that they expect the EU/IMF/ECB to find another solution so have no need to accept the offer - moral hazard at its finest). Lastly, the price of bonds would likely spike if a buy-back was agreed, massively reducing the benefit of the scheme (to avoid this, ex-ante agreements on prices of bonds would need to be made with all bondholders willing to sell, this raises a whole new host of issues such as collective action problems, complex negotiations and default in the eyes of the credit rating agencies). So, on to the new darling of the day, the bank levy. This has come out of nowhere (and that’s where we expect it to go back to) after an options paper was leaked to the FT and Reuters. The details are incredibly thin but the basic idea is that a tax is imposed on banks in order to raise money to contribute to a second Greek bailout. The leaked paper suggests this could raise the necessary €30bn over three years (convenient and unsubstantiated). There are a lot of problems with this proposal. First off, it’s an incredibly inefficient way of making the private sector pay for a Greek bailout since it’s levied across the board rather than on those with the biggest Greek exposure. It’s incredibly ironic (and ultimately depressing) that the most accurate tool for making the right people contribute (a restructuring of Greek debt) is already right in front of eurozone leaders' eyes, particularly after the data was released under last week's stress tests. Secondly, it is realistically impossible to achieve since the German, French and British banking federations have already come out against it, making any short term deal (which is exactly what is needed in the Greek case) very unlikely. And, if it was ever agreed, it would probably be passed onto consumers through higher fees and charges, not to mention the fact that banks may consider relocating outside the eurozone if they face an extra levy. The levy also raises an interesting issue regarding the UK, since UK banks do have some, albeit small, exposure to Greece. Would eurozone leaders credibly propose that only eurozone-based banks would be subject to the levy. "What about non-eurozone banks that lent to Greece?" the eurozone-based banks would surely ask. But on the other hand, neither the PM nor the Chancellor will be in the room tomorrow and the likelihood of the UK agreeing to take part in the levy is, in any case, probably zero. The bank levy seems particularly poorly thought through, even by recent standards, and looks to have greater political than economic motivation. Given the state of the crisis, and its recent escalation to include Spain and Italy, eurozone leaders cannot afford to waste time, not to mention the trust and patience of financial markets, on poorly targeted and poorly planned strategies. Ultimately, we still think a debt restructuring gives the best value for money in the long run, taking into account the positives of debt reduction and the negatives of a default (which you get from many of the other plans anyway). As if the EU hasn’t got enough on its plate, yesterday saw EU Foreign Minister Baroness Ashton present a proposal, at a meeting between EU foreign ministers, calling for the creation of an EU military headquarters (a so-called ‘Operations Headquarters’ OHQ). This comes despite the fact that the new External Action Service itself is barely even up and running. And despite the increasing number of voices that doubt that a single EU foreign policy is even possible. According to the Sunday Times, Ashton wants the OHQ to “command and control” future European civilian and military campaigns. The idea has been knocking around since 2003, when it was rebuffed by the UK and the US, among others, but has been revived with the backing of France, Germany and Poland. French support for the measure goes back some time but it has always met with staunch opposition from the UK, which sees it as an unnecessary duplication of existing NATO arrangements. "There is no way we will agree to this, now or in the future...We won't be agreeing to a permanent operational headquarters and therefore we are not able to welcome today's report by Cathy Ashton, the High Representative, on this matter". "Secondly, it's likely to be a much more costly solution than existing structures; and thirdly, a lot can be done by improving the structures that already exist"
This isn't simply a case of the UK 'not seeing the need' for a permanent EU military HQ, it is that it sees it as a potential threat to the UK's national interests. Britain will veto anything that looks like it might threaten NATO because, when it comes to defence, the transatlantic alliance remains paramount (and probably always will). It is often said that the UK doesn't 'understand Europe' but this example illustrates that this also works the other way. The Libyan conflict has shown that European countries can and need to work together when there is the political will to do so. However, like over Iraq, it has also shown that there are often fundamental disagreements on the use of military force among EU member states, this time with France and Britain on the one side and Germany on the other. If they are serious about defence, European governments need to boost their individual capabilities and improve interoperability on an ad hoc basis. EU mission creep is simply an unnecessary and potentially damaging distraction. The Economist has an interesting article in this week's edition which partly endorses the idea of 'eurobonds' (although with the qualification that they are politically unworkable right now). 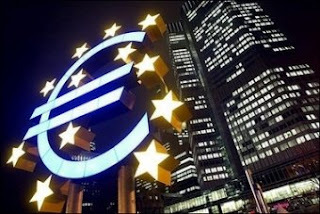 "One useful means of allaying the panic might be for euro-zone countries to issue part of their debt as joint bonds. Jointly guaranteed bonds sold to raise money for the current bail-out funds are being eagerly snapped up by investors. This may make financial sense. But the near-insurmountable obstacle is, as always, political: there is huge resistance to what would become a more overt 'transfer union'. In a group of democracies, where big decisions are taken by unanimity, consensus is hard to come by and takes time. Hence, leaders have acted only in the face of impending disaster, and then with half-measures. Markets operate on a faster timetable. They will not wait for Europe’s leaders, like Churchill’s Americans, to do the right thing after having exhausted all the alternatives." We would contend that, apart from the obvious drawbacks in terms of democratic legitimacy, the 'eurobonds', at least in their current form, do not represent financial sense either (leaving aside for the moment the fact that taxpayers shouldn't be funding governments they can't democratically control). The gist of the current proposal is that part of a country's debt would be financed by standard sovereign debt and the rest would be covered by eurobonds, around a 60%-40% split (an idea which has been proposed by Eurogroup chief Jean-Claude Juncker amongst others). However, its highly questionable whether this would be sustainable. "The current eurobonds are very ill-designed. We need a method to encourage fiscal discipline but they are not it". Handelsblatt economics editor Daniel Goffart made similar comments last December, suggesting that, "On balance, financing costs would not decrease" as the extra risk premium (higher interest rate) which investors would want on the nationally denominated debt, would outweigh the savings from the lower borrowing costs on the eurobonds. And it would not only be struggling eurozone countries that would see higher national borrowing costs, but also the likes of Germany, who would be explicitly guaranteeing eurozone debt, via eurobonds. Investors would be likely to demand a premium for this potential additional burden on Germany's national finances. There's also the fear that this proposal puts the eurozone on a slippery slope. 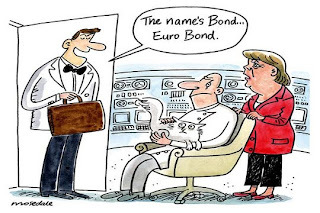 Once some debt is guaranteed by everyone and the cost of financing national sovereign debt starts increasing, there could be calls for a larger and larger percentage of debt to be in the form of eurozone-guaranteed eurobonds. Some might say this is a speculative fear but, given where we are now after the original bailout decision, it's clear that nothing should be unthinkable when it comes to the eurozone. Last but not least, there is also the concern that eurobonds are, in fact, illegal under the EU treaties. Such fleeting issues have been circumvented in the past (bailouts), but it may be even more overt this time around. German Chancellor Angela Merkel and Finance Minister Wolfgang Schaeuble have already made strong statements on this topic. They were backed up this weekend by Bundesbank President Jens Weidmann. "It is our firm conviction that the treaties do not allow joint eurobonds, that is no universal interest rate for all European member states. Competition on interest rates is an incentive to respect stability criteria." Although we all know that similar comments were made in regards to the bailouts, we hope Merkel and her government have learnt some lessons over the past year about how some decisions can snowball and take you to a place you don't necessarily want to go (second bailout, talk of permanent fiscal transfers, political unrest, a central bank bleeding credibility etc etc). We don't think eurobonds will be on the table at this week's summit but expect the debate to continue back and forth in the weeks and months to come. We have to say that we're surprised more didn't fail... OK, well we would be if the tests were more credible, but you get where we're coming from. As we’re sure you’ve noticed, things are heating up in the eurozone (well going supernova now) with fears spreading to Spain and more crucially Italy. As we noted earlier, the Italian and Spanish cost of borrowing has been skyrocketing and bond prices crashing (along with bank shares and stock markets). 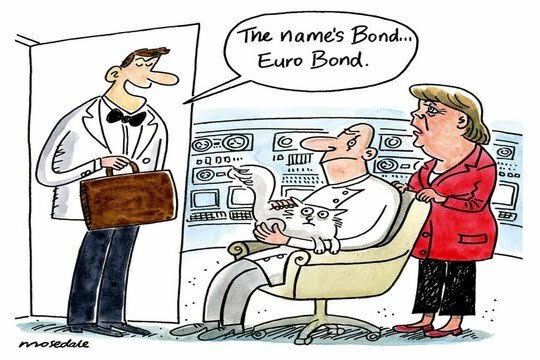 There have been rumours that this has prompted the ECB to begin buying bonds from struggling eurozone countries again (possibly in tandem with the Chinese Central Bank). Normally, we’d question the ECB for dredging up the bond-buying programme which they had tried so hard to leave behind but given the speed at which the fears have spread to Italy we can understand their concern. More importantly, this highlights that the current bail-out 'sticking plasters' policy is failing miserably, especially when it comes to containing contagion. “If the ECB doesn’t come in, the Italian bond auction [today] is likely to fail. What we’re going to have is the ECB are going to be doing the heavy lifting." So, Italian bond auctions may already be struggling to get off the ground meaning that the ECB - whose balance sheet is already already looking vulnerable - will have to start splashing around in a €1.6 trillion bond market. Yesterday saw Italian bonds take a serious beating in a development that sent shivers down the spines of every eurozone leader (and everyone else with even the slightest stake in the eurozone) - and today Italian bonds keep on plunging, it appears. EU ministers are simply failing to convince investors that Italy is on a safe distance from Greece, Ireland and Portugal. The following graph (HT FT Alphaville) shows how alarmingly quick things can move. "You know, he [Tremonti] thinks he's a genius and that everyone else is stupid...I put up with him because I've known him for a long time and one has to accept the way he is. But he's the only one who is not a team player." Ouch. Neither of them have spoken publicly since last week, save comments from Silvio today on the death of an Italian soldier in Afghanistan (no mention of the euro). In a speech to business leaders in Paris today (at the Mouvement des Entreprises de France ), Nick Clegg had some interesting things to say about the eurozone. The speech was seen in the UK media as "contrasting" to the comments David Cameron made in the Spectator the other day, where he suggested that Britain should use the eurozone crisis to re-shape its relationship with Europe ("Nick Clegg and David Cameron split over Europe" as the over-excited Independent put it). The truth is that Clegg's speech was a mixed bag - some very sensible remarks combined with others whose logic wasn't always as easy to follow. He started off with the usual government line that the UK must resist "finger-wagging" and that there is "no room for schadenfreude" over the problems that have hit the single currency. "Events both inside and outside of the eurozone have demonstrated the irrefutable need for all European states to pursue deep-seated economic reform, individually and together, because without it there will be no lasting success - no matter what happens to monetary union...If Europeans now take the right action in fiscal policy, financial policy, structural reform, we can correct the mistakes of the past. We can lead a new era of prosperity for our continent." "We have also had to look very carefully at the functioning and structure of our banks to ensure they can never again take our economy to the edge of a precipice...[banks must be] properly capitalised and able to withstand future shocks"." "we may have different coins in our pockets, but our fates are intertwined...We all have an interest in a strong European economy...There are problems in the eurozone and they are important, not just to members of the single currency, but to all Europeans." 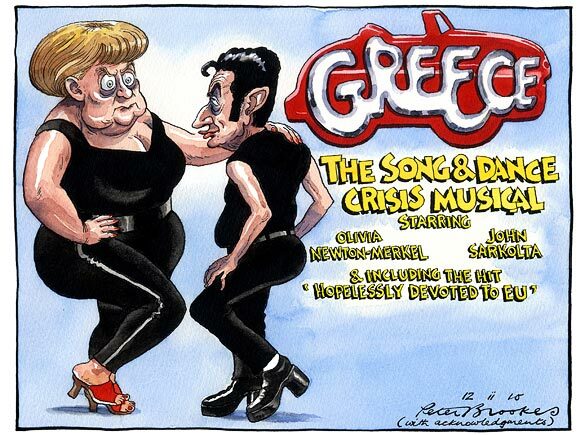 This is absolutely correct as we forcefully state in our recent briefing assessing the second Greek bailout. But then it gets a bit confused and hard to follow. "Countries like the UK should not see ourselves as spectators, watching from the wings, triumphalist, complacent, as if Europe's economic woes are a eurozone problem, rather than a problem for all of us - as if it is enough to put your own house in order, but then stand by and let the neighbourhood crumble." What, exactly, does this mean? Is it "not let the neighbourhood crumble", as in not allowing governments to default? Seems like it. But that's not the policy that the UK government is pursuing. Since it isn't participating in a second Greek bailout, it is, in fact, standing by and letting a country in the neighbourhood crumble (or at least relying on others to 'save' it). So is he criticising his own government's policy on the Greek crisis? "On the one hand, some people, including senior members of the previous UK government [read Jack Straw], are predicting collapse and doing so with short-sighted relish, given it would do lasting damage to the UK economy. On the other hand, some people are now arguing that only complete fiscal union can work." "I expect – as is usually the case – things will end up somewhere in between these extremes." Hold on a minute. So Clegg firstly goes to great length to explain how the fate of the euro is linked to the UK economy (which is true) only to say that it's, however, not his role to predict the outcome of the euro since the UK isn't part of it. Adding then that predicting its collapse is irresponsible, while predicting a full fiscal union is incorrect since, lastly, he's predicting that the euro will end up somewhere between the two. But if the UK is so horribly affected by any movements in the eurozone even though it's not part of it, isn't it exactly his role to predict where the eurozone is heading so as to make preparations for whatever will occur down the line, given his position as the second most senior person in the government? What's more, is he saying that a fudge is the best outcome for the UK, since a collapse is a disaster and a full fiscal union won't happen? We've had a fudge for 18 months and the eurozone crisis hasn't exactly gone away. Can he say with confidence say that a fudge (whatever that involves, more bailouts? 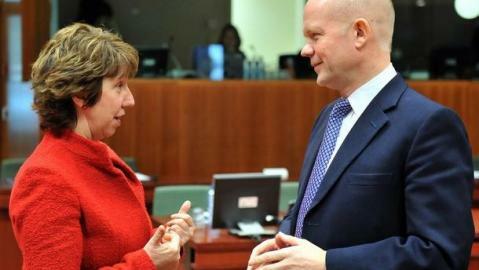 stronger EU budget rules? ), isn't in fact increasing the political and economic cost of the eurozone crisis, therefore leaving the UK even more exposed to meltdowns in future (as the cost of a Greek default, for example, only increases the longer you wait to restructure)? We're confused. To Predict or not to predict? Part of or not part of? 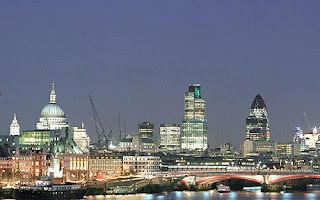 More UK-backed bailouts or no more? Does the UK have a eurozone crisis policy or doesn't it? Just thought we’d highlight some interesting comments on various aspects of the eurozone crisis, given the sheer volume of pieces out there. “I don't think there is any question that if you look at it narrowly from Greece's point of view, it would be better to default now, clean it up and move on. Yes, it is painful to default, but countries grow afterwards and many countries have done it and done very well. The problem here is that Europe can't handle it so easily because Portugal is weak, Ireland is weak, the banking system is weak. And in essence what's happening is that Europe is bribing Greece not to default. They are giving them lots of money. Greeks aren't paying now, they are getting new money”. “But as we move from Memorandum I to its potentially scarier successor, it still doesn’t appear to have sunk in either at home or in Brussels, Frankfurt and Washington, where the decision makers of the European Commission, European Central Bank and the International Monetary Fund reside, that all the slashing of public expenditure and hiking of taxes is not going to solve Greece’s problems." Just snippets of some good pieces, we recommend reading/listening to them all in their entirety. There were some interesting comments today by Warren Buffet, Chairman and CEO of Berkshire Hathaway, on the eurozone debt crisis. "The European situation is not solved... They've got a lot of work to do. When you have 17 countries that all have the same currency, and the yields on their bonds are all different, the situation is not solved. It's like 17 people holding hands and one guy starts walking towards the end of the cliff, and suddenly there's 12 people left and you have to start thinking -- do I want to be holding hands with this group?" "Hello? Hello? Speak up at the back! Blair? Clarke? Mandelson? Heseltine? 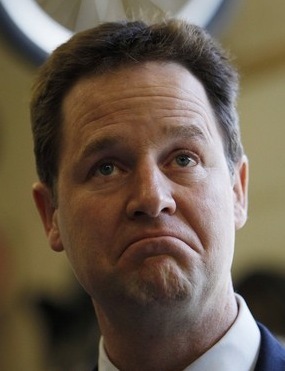 Clegg? Huhne? Surely one of you could put your hand up? Well done, Alexander! Thank you for accepting that you were wrong all along about Britain joining the euro. Perhaps you could have a word with the other boys afterwards?" She goes through the various arguments that the pro-euro camp used, which turned out to be completely wrong, and the "myths" that it accused the other side of peddling (which we have catalouged here) that have turned out to be completely right. "The euro-enthusiasts were always accusing the rest of us of being anti-European....But if anti-Europeans had been asked to design a system to sabotage the EU project, they could hardly have done better than the euro. For what could be more damaging than a doomed currency area in which the poorest nations are forced to accept austerity measures and bailouts and the richest ones are forced to stump up for them? Nearly three-quarters of Germans now say they have little confidence in the euro and two-thirds of them are opposed to bailing out Greece. Hardly a recipe for European amity. Pro-euro campaigners were quick to stamp on what they called "myths" that were, inevitably, "peddled" by our side. There was the "myth" that monetary union would lead to fiscal and political union. This is now accepted as the only possible solution to the eurozone's woes. There was the "myth" that richer countries might have to bail out poorer ones. That was supposed to be forbidden by treaty, but it's happened. And there was the "myth" that an external shock might hit some countries harder than others, causing huge dislocation. Well, it's there for all to see." Now is the time for a reckoning. Let us salute the heroes who managed to keep us out of the euro. James Goldsmith, in the last year of his life, forced the Conservatives to agree to a referendum before we joined. That forced Labour to promise one too. Without that obstacle, Blair would undoubtedly have signed us up. Then it was a question of making strong enough arguments to reassure the British people that they were right in their instinct that joining the euro would be a bad idea. All credit goes to Lords Leach and Owen, joint chairmen of the all-party "no" campaign. But on a question this big, it surely behoves those who tried to push us into the euro to recant now. Blair has become a Catholic; he should understand about confession, repentance and conversion. Danny Alexander showed how it could be done last autumn when he admitted he had been mistaken. We are still waiting to hear from Lord Mandelson, Ken Clarke, Nick Clegg, Lord Heseltine, Lord Ashdown and Chris Huhne. They are as bad as those old Marxists who never conceded communism was wrong even after the collapse of the Soviet Union. We deserve an apology. How dared they sneer at us for being little Englanders or xenophobic when we could just see that the economics were so obviously wrong? Fresh from having given the Commission credit for a sensible proposal, it's a bit surprising (well, not really) to see that some Commission Communication-types continue to do their best to completely wreck the image of the EU institutions. So yet again, here we go! Following last week's Commission proposal for the EU budget, things are truly starting to hot up when it comes to the Brussels purse strings. The proposed increase has prompted some strong reactions from national capitals and therefore left the Commission rather isolated. "Of the 23,928 permanent and temporary EU officials employed by the European Commission, approximately 10,240 earn over €80,000 (£71,500) gross. In comparison, of the UK’s 527,490 civil servants, only 5,490 earn over (£70,000) gross." The Commission's opening response is simply, "We regard Open Europe's report as dishonest, manipulative and riddled with basic errors." This is pretty strong and colourful language - and we're used to being on the sharp end of Commission press briefings (and funnily enough, we always seem to end up with the last word). "First, they compare all civil servants at all levels in the UK with just officials and temporary agents in the Commission. No mention of Contract Agents, who are generally the lowest paid category of staff. There are literally thousands of these (around 6,000 in the Commission, 10,000 across all EU institutions). One can only speculate why Open Europe chose to exclude them from their 'comparison'." We're very clear that we have only included permanent and temporary officials in the numbers we cite. We have compared the actual numbers: the point being that in the entire UK civil service there are only 5,490 people earning over £70,000, while of the permanent and temporary officials in the Commission more than 10,000 people are earning over £71,000. The question is, is this justified? We would guess that most taxpayers would think not. If we had compared the percentages of high-earners in the Commission and UK civil service then we could see the Commission's cause for grievance - but the figures show that, while the UK civil service org chart looks like a pyramid (as most organisations' do), the Commission is a rolling treadmill where officials seem to simply progress on to the next level, with the extra pay and perks this entails. The Commission's other major bone of contention is that "the share of administration costs in the EU's budget is not rising from 5.7 per cent to 6.1 per cent." We have simply used the figures provided by the Commission for this: for the 2007-13 budget the current admin costs are €55.9bn from a total €975.8bn (in current prices) = 5.7% , whereas under the proposed 2014-2020 EU budget admin costs would be €62.6bn from a total of €1,025bn (in 2011 prices) = 6.1%. What else is there to say? 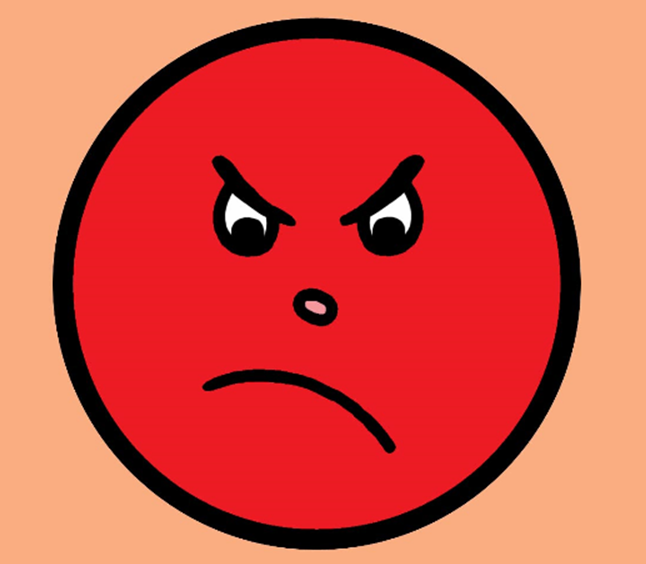 Why the red face and the slander? 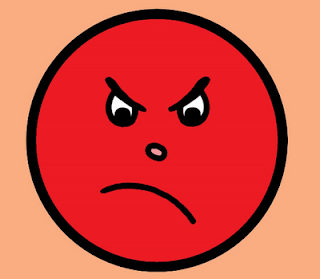 (clue: over-reactions like this are usually a sign of somebody losing the argument). The Commission keeps desperately trying to claim it is "not out of touch" with the people of Europe but its inability to even accept the basic terms of argument make it impossible to have a rational debate about the serious issues. No wonder people are turning off and tuning out to the "European Project" in droves. The European Commission has announced that it plans to introduce some structural measures to encourage competition and therefore fundamentally reduce the cost of data roaming (if that sounds like something which will take time, they’ve also extended the price caps until 2016 to allow for this). So what are the key proposals? - On the supply side – network operators would have to offer other mobile providers access to their networks at wholesale prices, meaning they do not have to charge customers exorbitant prices, while also increasing the choice of service providers. - On the demand side – customers will be able to choose which provider they use abroad regardless of the provider they use at home. Generally, we’re wary of price controls and market intervention from the EU but they seem to be on the right track with this proposal. The Telecommunications industry is one dominated by big firms, usually due to economies of scale (producing large volumes reduces the cost per unit) and network effects (consumers benefit by all using the same provider to avoid extra costs). This is the nature of the beast to some extent and makes regulating at the domestic level a tricky balancing act, between encouraging competition and providing a prosperous environment for firms. However, when it comes to cross border competition these factors allow the firms to completely control market access and impose huge costs on foreign consumers (usually via foreign service providers accessing their network). As such both the demand and supply proposals above are welcome and will hopefully help solve the problem rather than just delaying it with price caps. 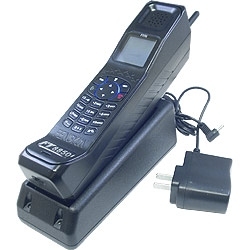 - Large Telecommunication firms are vastly experienced at avoiding these kinds of costs or at the very least finding ways to raise revenue elsewhere. Charges on data roaming is a highly profitable area for these firms, as such they may seek to raise costs elsewhere to make up for the losses they’ll face under these proposals. Importantly, they could be levied across the board (through an increase in basic charges on all calls or data), meaning that all customers would be paying for the few international data roamers. This is a very inefficient process and replaces a targeted levy with a general one. But this is far from certain. - It is also important that firms can still appropriate the returns to costly investments in infrastructure and networks. This is mostly a domestic issue though, since that is where the majority of the firms’ revenue comes from, but future regulation could interfere with this process. - An underlying issue here which is yet to be fully addressed is the fact that many of the network providers mislead their customers over the costs which they would face abroad. The whole debate has highlighted the issue and helped stop this, but more may need to be done, especially since these hidden charges could easily crop up at the next stage of telecommunication development. In its current form the regulation looks well balanced and offers some much needed protection to consumers in this area, but it still needs to be approved by the Council and the EP, so it could yet change. 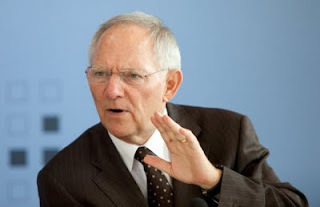 SPIEGEL: Minister Schäuble, 15 years ago, a leading German politician wrote a book in which he predicted that the euro would no longer allow countries belonging to the European common currency the luxury of "relapsing into comfortable debt creation." Do you have any idea who made this prognosis? Schäuble: I have an idea, but I'm sure you're going to tell me. SPIEGEL: It was the then-floor leader of conservatives in parliament, Wolfgang Schäuble. Schäuble also floats the old "Lehman" myth - which we've addressed here.